For a while it was known as the Sweet Corn Festival, but even though one of the most delicious and nostalgic things in the world is that first bite of sweet corn straight off the stalk and still warm from the afternoon sun, “It was just too bloomin’ hot,” said Thomas Legare. So instead of waiting until mid-June for the first crop of sweet corn to mature, the Legare family has moved their harvest celebration to May 1, and in doing so, has revived an exciting old-time tradition. The family get-togethers had been going on long before then, however. For as long as the Legare’s can remember, they spent every Saturday afternoon at their grandmother’s house. Their aunts would set up croquet and horseshoes and everyone would play games and enjoy a potluck of homemade food. Although the spring picnic has been more or less for family since the late 70s, last year the Legare’s decided to open it up to the public. “We want to bring that sense of closeness and community back to the island,” said Thomas. And while the Legare’s already have close relationships with their CSA (Community Supported Agriculture) members, they felt that they needed to reach out to the rest of the island and surrounding areas, as well. 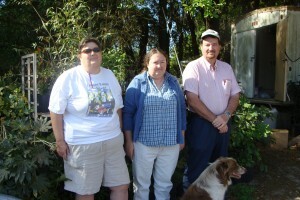 This year will be the second Spring Festival hosted by the Legare family at Legare Farms. Along with yard games, a bonfire and a bluegrass jam session with Ricky Rio (if you like to play, you’re welcome to join in! ), the Legares will be serving fresh sweet corn from a friend’s farm in Florida, hamburgers and sausage dogs made from their own beef, and potato salad with spring onions and tomato & cucumber salad from their own farm. There will even be homemade ice cream with strawberries from neighboring Ambrose Farms. Proceeds from the celebration will go to fund the Legare Farms Education Foundation, the mission of which is to help raise awareness and educate Lowcountry communities and school children on the agricultural heritage of this region and the need to maintain this legacy for future generations. The program provides school field trips, community educational opportunities, and special educational events. Tickets can be purchased by calling the office at 559-0788 or by e-mailing legarefarms@bellsouth.net. The cost is $20 for adults and $10 for children.